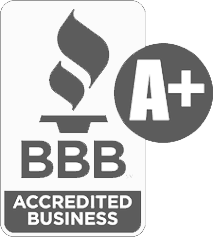 We believe the more you understand, the more confident you will feel in your decisions, and our recommendations! 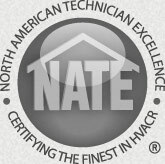 For this purpose, this page gives a high level overview of split system heating and air conditioning. Please call us at (719) 391-8768 with any questions. 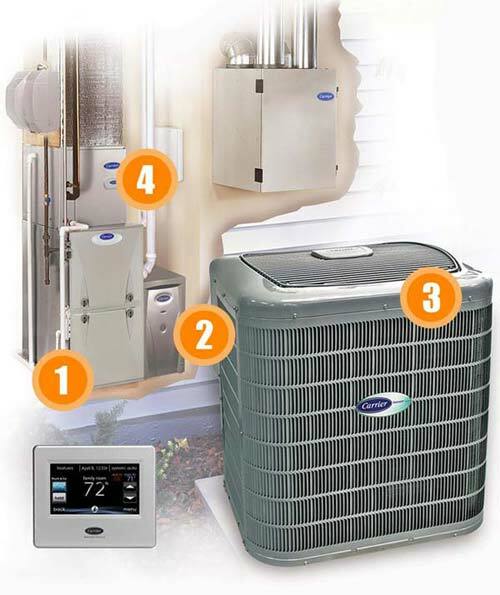 1) The thermostat registers that indoor air is too cold, and signals the furnace (number one) to power on. A flame ignites inside the furnace and heats a metal, vented object called a heat exchanger. The Carrier Infinity® series furnace features a fully modulating flame that can adjust in one percent increments to heat based on demand for the greatest efficiency. 2) The fan motor inside the furnace powers up, and begins pulling air from the home via the return air duct(s). The air pulled from the home is pulled through a filter (image two) before entering the furnace. A variable speed fan motor operates at whisper quiet levels creating quieter, more efficient comfort. 3) The air is then forced through the heat exchanger where heat energy is transferred to the air before it is distributed back into the home via ductwork. A heat pump (image three) looks just like an air conditioner. In fact, in warmer weather, they cool your home in the same way an air conditioner does. However, in cold weather they can also provide heat by reversing the cooling process (the cooling process is explained in detail below). 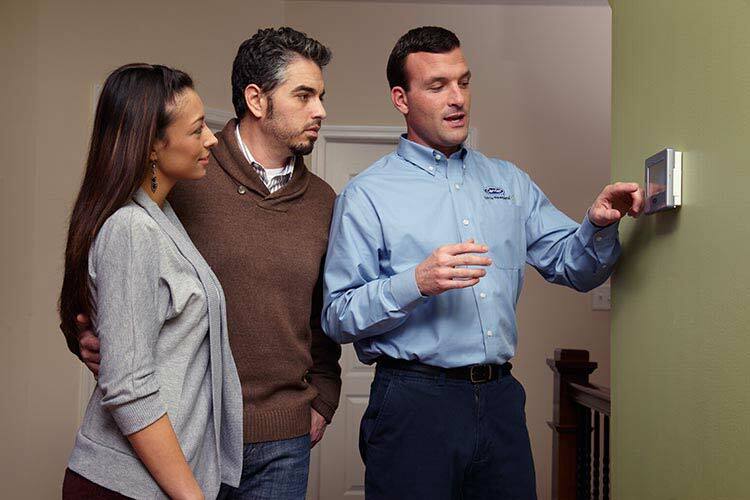 Most heat pumps are not designed to heat in frigid weather like we experience in Colorado Springs. However, some models can if a gas furnace isn't possible. 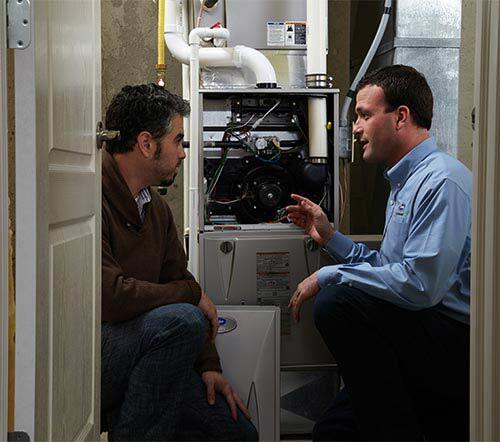 Heat pumps can also be joined with a gas furnace to provide hybrid heating for greater heating efficiency. 1) The thermostat registers inside air is too warm, and signals the air conditioner (image three) located outside the home to turn on. The air conditioner begins compressing a gas called refrigerant. Compressing the gas actually condenses it to a liquid, and dissipates heat energy into the outside air. 2) The chilled liquid is then pumped inside to the indoor coil. The indoor coil is typically called an evaporator coil (image four) and sits on top of the furnace. It is a series of metal tubing contained in a metal enclosure. 3) The fan motor (image one) powers on, and pulls air from the return air duct(s) in your home. The warm air is first filtered (image two) and forced through the coil where heat energy is absorbed by the chilled coil. This cools the air before it is distributed back into the home via ductwork.